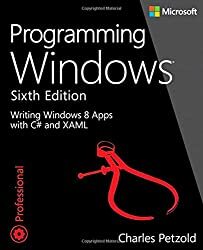 Charles Petzold wrote the classic Programming Windows, which is currently in its fifth edition and one of the best-known and widely used programming books of all time. He was honored in 1994 with the Windows Pioneer Award, presented by Microsoft founder Bill Gates and Windows Magazine. He has been programming with Windows since first obtaining a beta Windows 1.0 SDK in the spring of 1985, and he wrote the very first magazine article on Windows programming in 1986. Charles is an MVP for Client Application Development and the author of several other books including Code: The Hidden Language of Computer Hardware and Software.